It’s some years since I visited Barnsley House and this week saw me return not once, but twice. 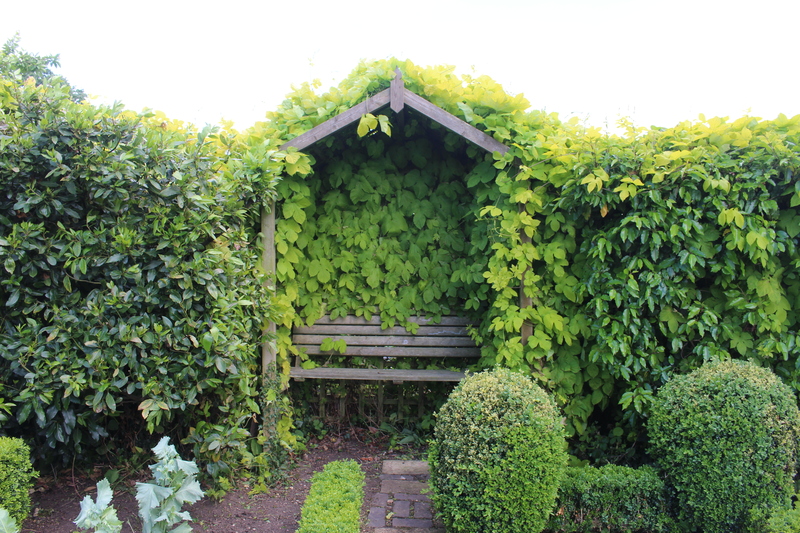 Here we are in Rosemary Verey’s iconic potager where this foliage surrounded bench caught my eye. It’s a relaxing spot to take in the surroundings. I hope you are going to show us more of the potager! Please!